Beard trimmer BT3020 with precision dial and 1 comb. 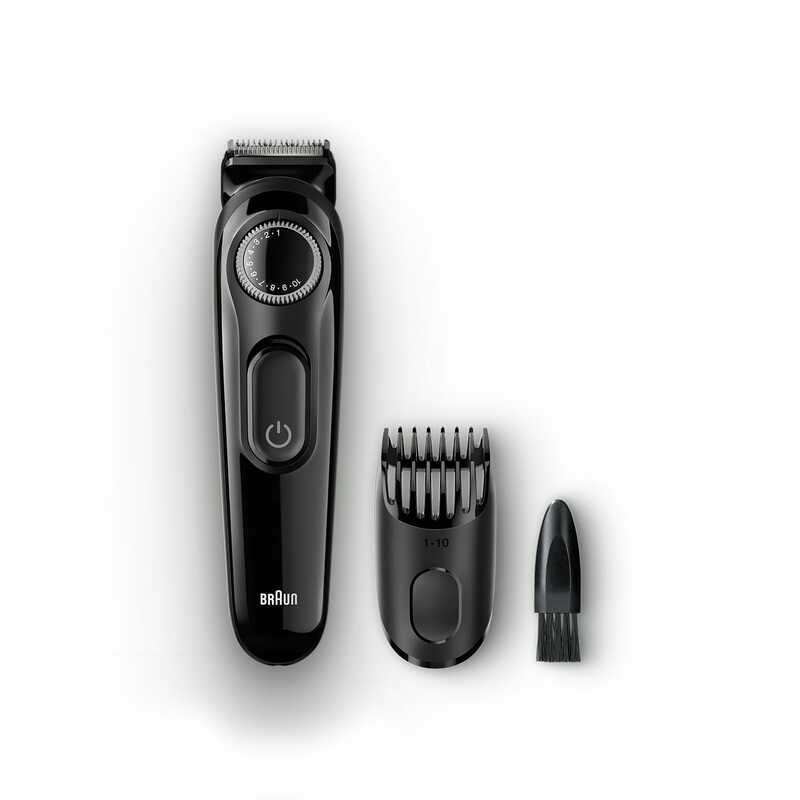 The Braun beard trimmer gives you exact length, precise contours and an even trim – the fundamentals of any great look. Whether you want to achieve designer stubble, maintain your beard or trim contours and edges, the detachable trimming comb provides 20 length settings between 1 - 10mm. Combined with the Precision Dial with 0.5mm steps, the Braun Beard Trimmer gives you the ultimate control and precision. Found quality and ease of operation in this great little razor. It has lived up to its promises. All for an excellent price! Easy to use, and you get what you pay for. Recommended. I bought this product four months ago, it was working well until the power adapter broke. Haven't been able to find it or find a replacement. As with many other reviews on this site, I loved my beard trimmer for about 3 months then it stopped charging. Tried everything, clearly poor design or poor quality components. Was going to replace with another of the same but sounds like a common problem.